This firm represents landlords and tenants in both Mecklenburg and Union County, North Carolina. If you have questions about how to evict a tenant rights in NC or if you were wrongfully evicted, please give us a call. Usually evictions start in Small Claims Court and the tenant has the absolute right to appeal to District Court, after posting the appeal bond. If the tenant decides not to appeal an eviction the Sheriff usually can not remove the tenant until the ten (10) day appeal period has expired. 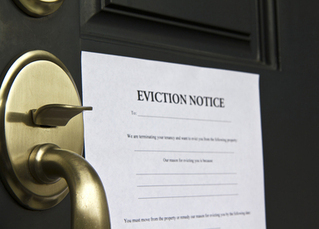 ​Whether you are the landlord or tenant let Witt Law Firm ensure your rights are protected. We do charge a $100 consultation fee, but that fee is applied to any work done on your behalf. Put our experience from representing both Plaintiffs and Defendants to work for you in the Courtroom.